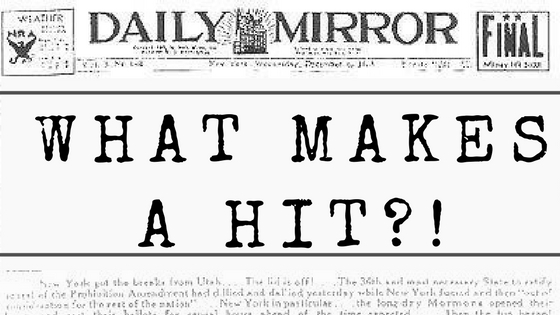 “I Got Rhythm”: Who Could Ask for a Better Hit? “I Got Rhythm” is a favorite Gershwin song from the musical Girl Crazy. After some initial work on the tempo, this hit standard figured prominently in a jazz revolution. “I Got Rhythm,” a hit song from the 1930 musical Girl Crazy, is a much-loved Gershwin tune. External factors—such as featuring the song on George’s radio show—played a role in establishing the work’s popularity, but the song’s enduring impact on the jazz world has made it a classic. George originally wrote the melody of “I Got Rhythm” as a slow ballad for an unfinished musical. When revising the tune one year later for Girl Crazy (1930), George sped up the tempo and accented the second beat, providing what Howard Pollack called “a striking avoidance of melodic downbeats [to the chorus]…giving [“I Got Rhythm”] something of its zing.” This avoidance of melodic downbeats provided the syncopation that makes “I Got Rhythm” so catchy. In her opening night performance, Ethel Merman literally stopped the show with her signature belt. Before Girl Crazy, Merman was relatively unknown, but her performance of “I Got Rhythm” put her on the map. Her stage confidence and strong vocal delivery delighted the audience, who called for encore after encore of her now-iconic rendition of the song. Since its first performance, “I Got Rhythm” has been recorded by numerous artists, including music legends Louis Armstrong, Benny Goodman, and Art Tatum. These performances reflect a phenomenon scholars Robert Wyatt and John Andrew Johnson have termed “performers’ music.” Performers’ music is “composed and published with the expectation that performers, rather than being bound by a composer’s score, will change melody, harmony, tempo, or mood as they see fit, thus putting upon it the stamp of their own musical personalities.” Ethel Merman embodied this idea during her opening night performance and many subsequent artists have done the same. While some jazz musicians personalized “I Got Rhythm,” others began to use the song’s basic chord progression and harmonization to create new musical works. This practice, which has been adopted by many jazz artists, became known as “rhythm changes.” Rhythm changes refers to the formal and harmonic structure taken from Girl Crazy’s hit song. Some performers have even used George’s original key of Bb major, which makes the structural connection to “I Got Rhythm” all the more evident. Examples of rhythm changes include Sidney Bechet’s “Shag” (1932), Duke Ellington’s “Cotton Tail” (1940), and Charlie Parker’s “Anthropology” (1946). When listening to these songs, you’ll notice that it’s easier to follow the chord progression of “I Got Rhythm” in the earlier “Shag” than in the later “Anthropology.” The increasing stylistic complexity in these examples from 1932 and 1946, respectively, reflect the changes in jazz during this time period—specifically the development of bebop. Bebop, a style of jazz that originated in the early 1940s and was primarily associated with Charlie Parker, Dizzy Gillespie, and Thelonious Monk, is characterized by complex rhythms, harmonies, and melodies. While “Shag” is more characteristic of the hot jazz of the 1930s, “Anthropology,” written in 1946, embraces the musical complexities of bebop. Many songs based on rhythm changes, including Dizzy Gillespie’s “Salt Peanuts” (1945) and Thelonious Monk’s play on “I Got Rhythm,” “Rhythm-a-ning” (1957), have gone on to become jazz standards in their own right. But as Parker’s “Anthropology” would suggest, the “changes” in rhythm changes have become increasingly abstract. Today, only the most astute listener would be able to identify George’s harmonies and rhythms in a rhythm change tune. Still, it is important to recognize that “I Got Rhythm”—a jazz standard in itself—is the overarching basis for the composition of these jazz standards. George and Ira wrote many hits, but this song stands apart from the rest for its influence on jazz history and musicians in the 1930s, 40s, 50s and beyond. “I Got Rhythm” has become a part of a larger tradition of music making in jazz and influenced notions of musical creativity and innovation. Who could ask for anything more? Ake, David. Jazz Cultures. Berkeley: University of California Press, 2002. Pollack, Howard. George Gershwin: His Life and Work (1). Berkeley: University of California Press, 2007. Wyatt, Robert, and Johnson, John Andrew, eds. Readers on American Musicians: The George Gershwin Reader. New York: Oxford University Press, 2004.